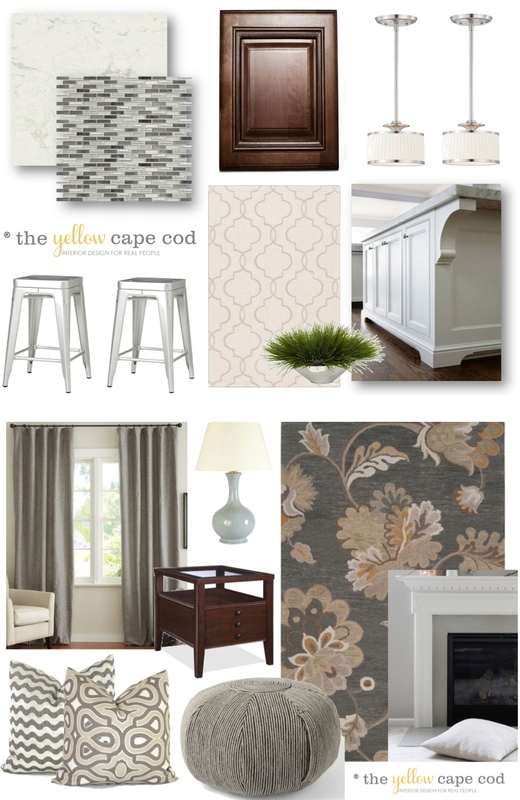 Today's featured online design project is part of a three room design plan we created for Cynthia's beautiful home. 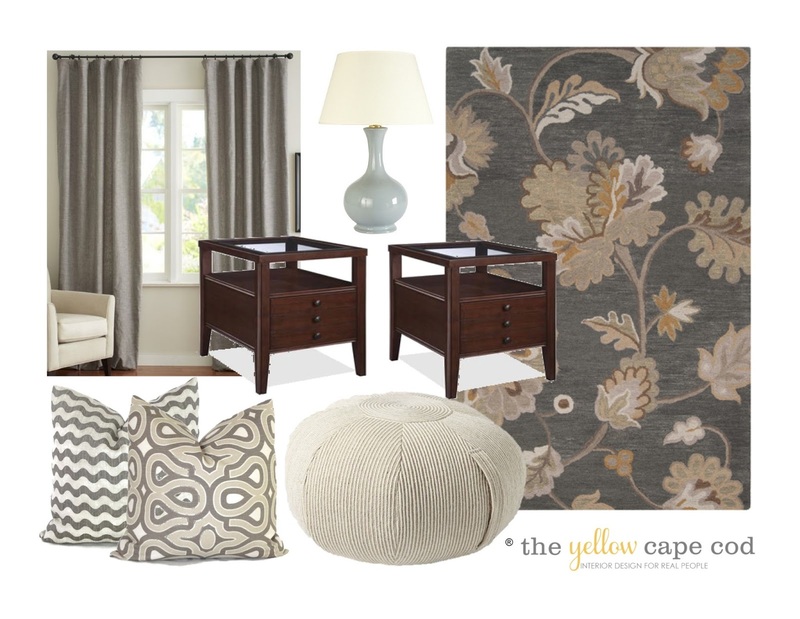 Our goal in this project was to give her home a new look using some of her current furnishings along with new pieces in the transitional style she and her husband love. Cynthia's home features a wonderful open concept floor plan. 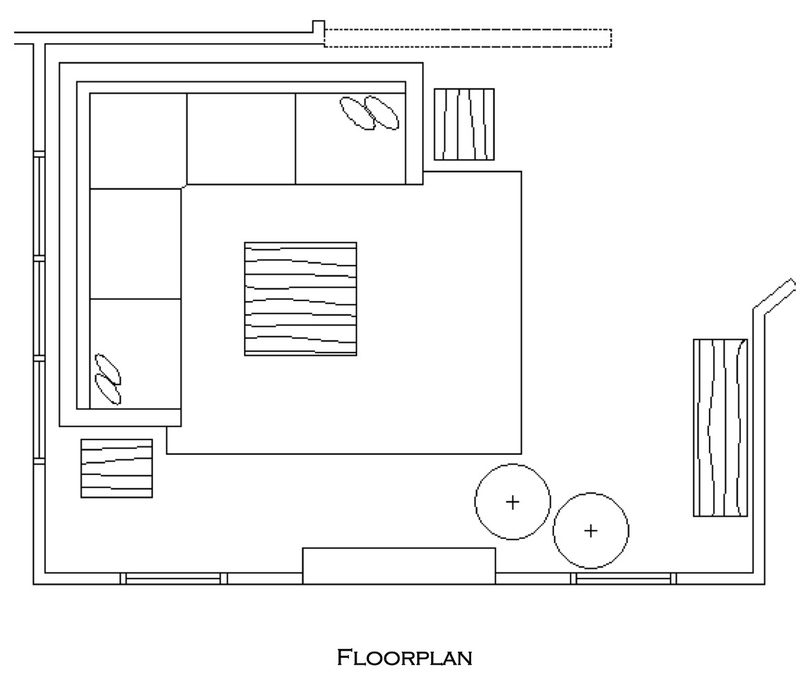 The kitchen is the center of the main level and the family room, hallway and sun room are adjacent to the kitchen. Since these spaces are so integrated with each other, it was ideal that we were able design them at the same time. Cynthia's existing kitchen featured beautiful mid-dark toned cabinetry that was in great shape. It also had a nice floor plan and updated appliances. She enjoyed her kitchen, but she felt it was dark and lacked the light, bright look she wanted. 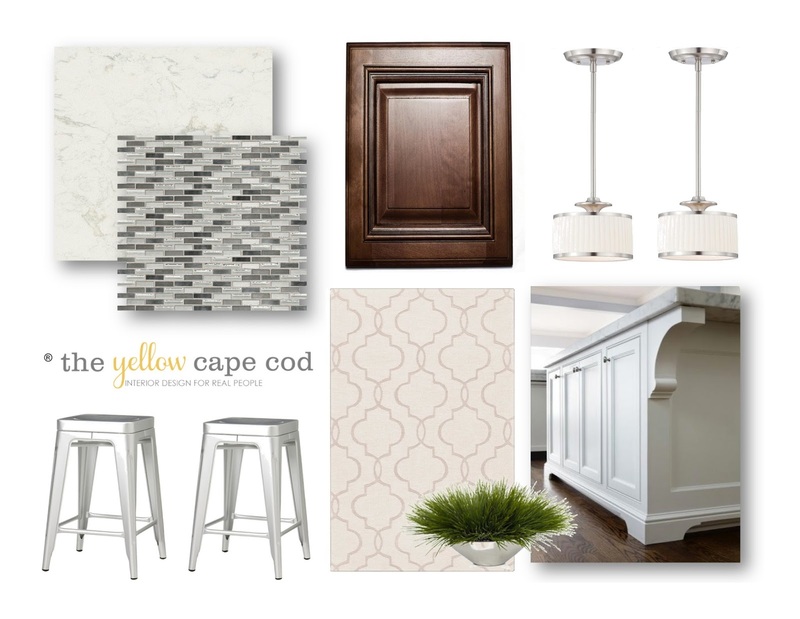 We got to work making recommendations for design elements that she could incorporate into her existing kitchen to give it a whole new look without a complete overhaul. We suggested that Cynthia switch out her dark granite "Uba Tuba" black counter tops with a beautiful Cambria Quartz. This creamy solid surface counter top features soft tan and gray swirls. 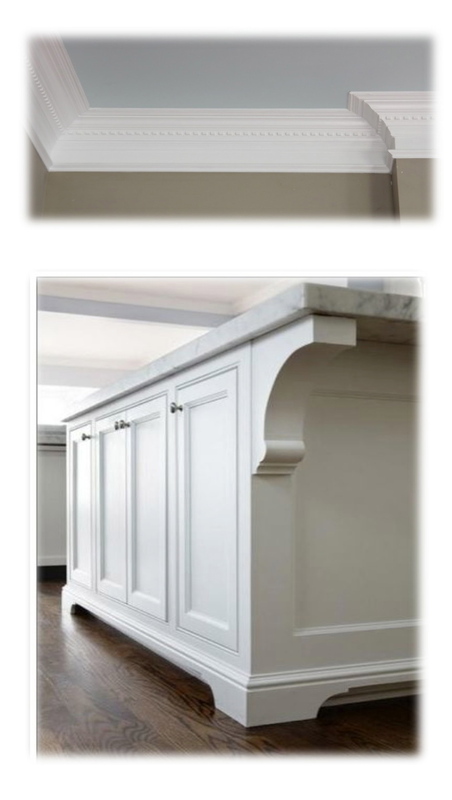 This understated, light colored surface next to the existing mid-dark toned cabinets will provide amazing contrast. Not to mention, this singular change will instantly brighten up the space and give the kitchen an entirely new look and feel. 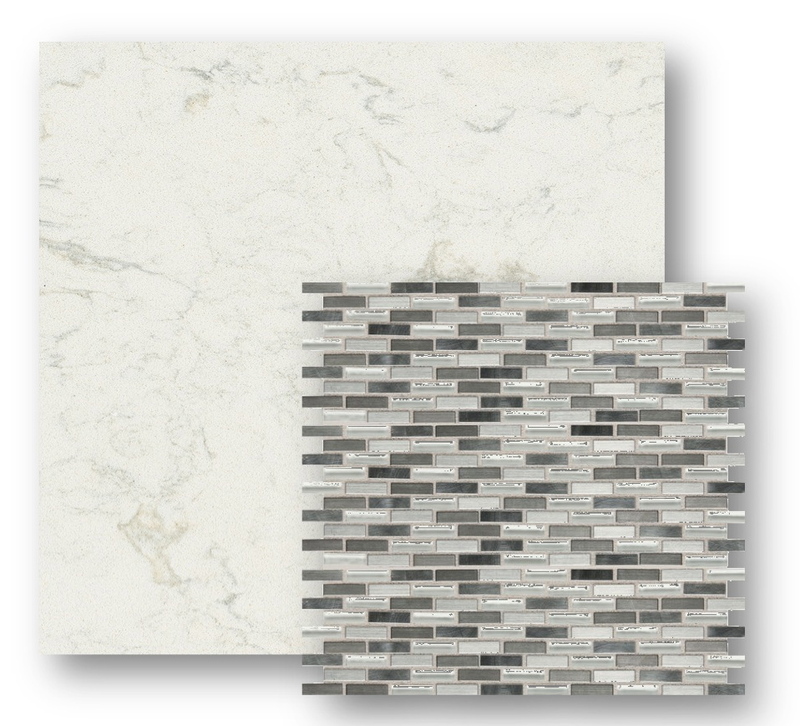 To compliment the new Cambria Quartz we chose a shiny tile back splash that pulls the gray tones from the counter tops into a lovely greige glass mosaic. To bring a contemporary element and a little bling to the space, we incorporated these gorgeous pendant lights over the center island. Speaking of the center island, we recommended a makeover on her existing island by painting it soft white and adding custom detail. We suggested having a finish carpenter add trim and custom woodworking to give it character and make it a dramatic focal point. Adding a thick crown molding to the perimeter of the ceiling also adds to the custom feel we are creating with the island makeover. These photos found on Pinterest are great examples of the type of crown we like for her kitchen and look she will achieve by applying our recommended changes to her island. 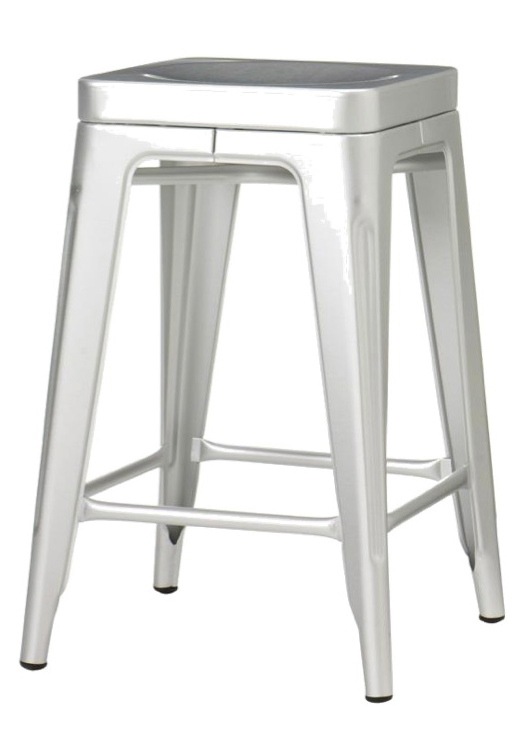 Since we gave the island a new look, we decided to accentuate it even further by incorporating these fantastic bar stools. 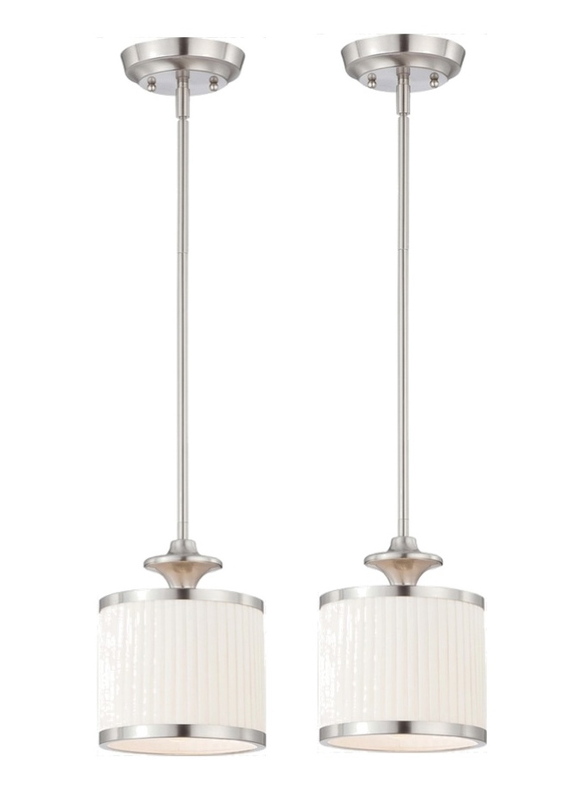 The shiny chrome finish will compliment the new hanging pendants. 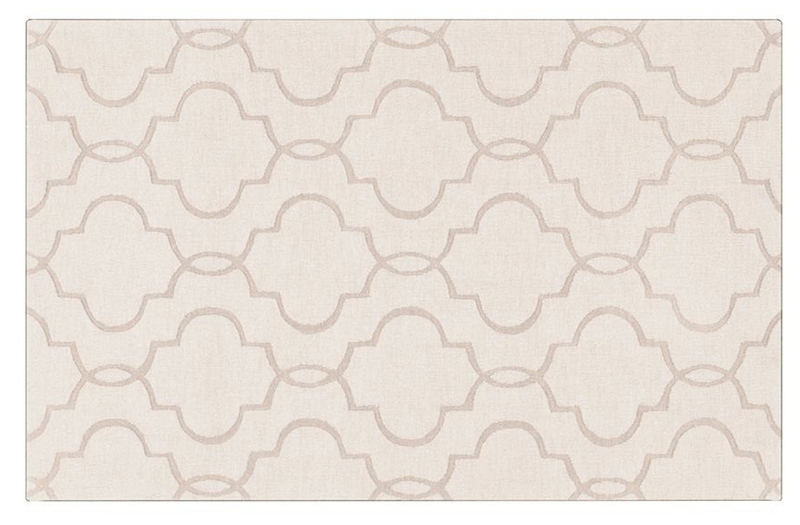 We also incorporated a beautiful accent rug featuring a platinum trellis pattern that will look amazing on top of Cynthia's mid-dark toned hardwood floors. As I mentioned earlier, the kitchen is open to the family room. We carried the same style and color palette we used in the kitchen into this space by introducing varying tones of gray and transitional decor. 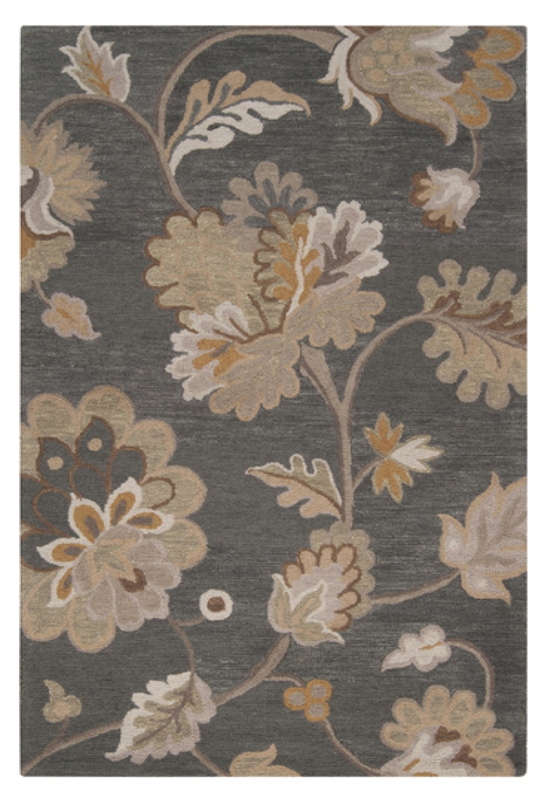 This rug (now available in my collection) is an absolutely gorgeous combination of tans and grays. The floral design and 100% wool hand tufting keeps it feeling traditional while the contemporary spin on design give it that transitional look we are going for. We included a set of mid-dark toned occasional tables for contrast and also to bring a little of that warm, wood tone richness from the kitchen cabinetry into this space. 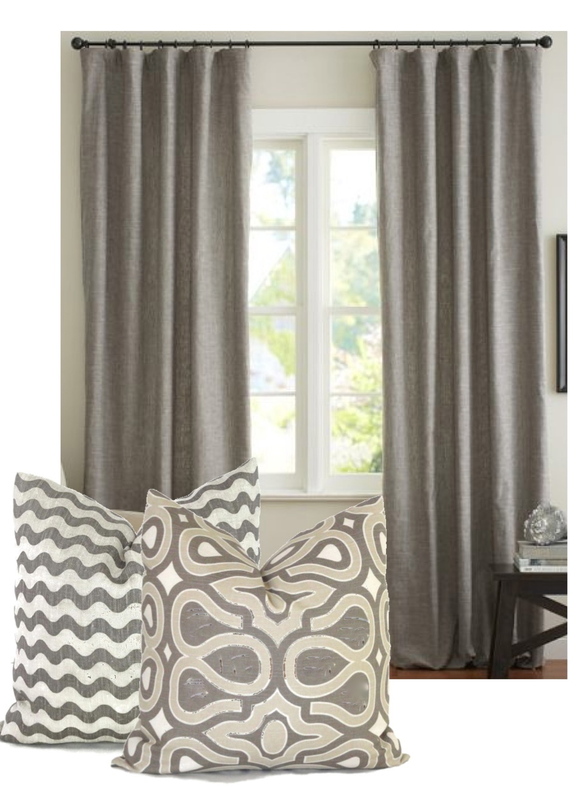 Gorgeous solid gray linen drapery panels and fun patterned toss pillows found on Etsy pull some more gray tones into the space . 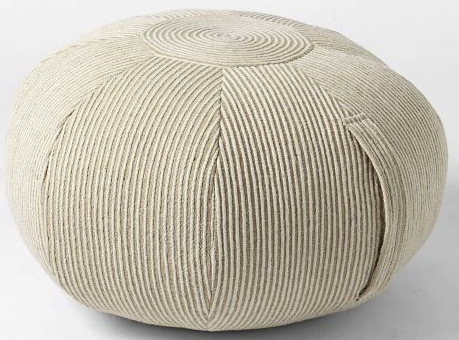 Large floor cushions in oatmeal and gray will give the kids a cozy spot to cuddle next to the fireplace. Speaking of the fireplace, we made a suggestion that Cynthia replace her brick fireplace surround with a pretty gray colored marble. 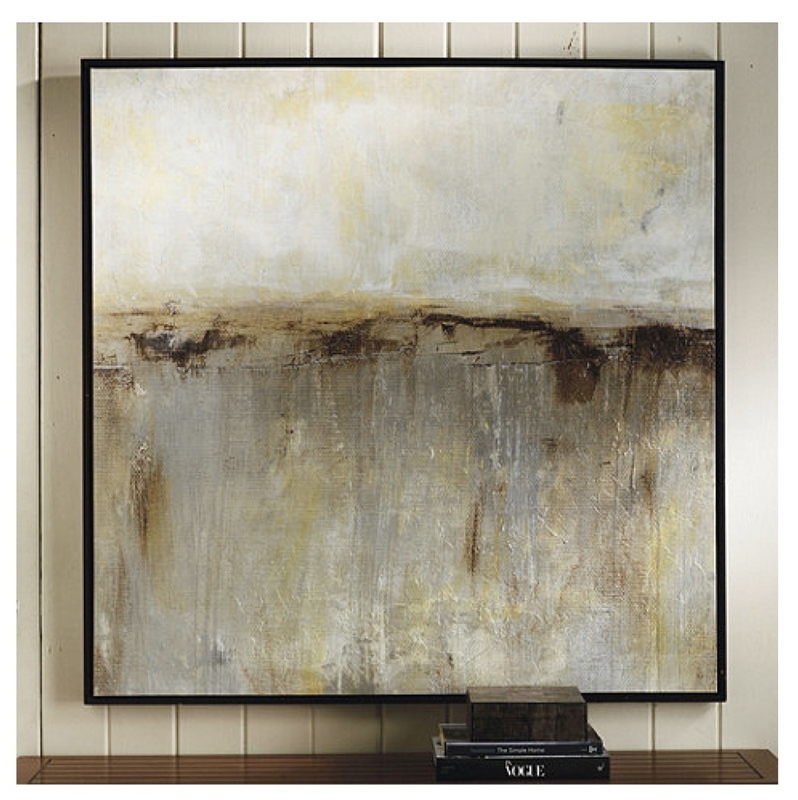 This small change to the main focal point will have a big impact on the overall look of the space. 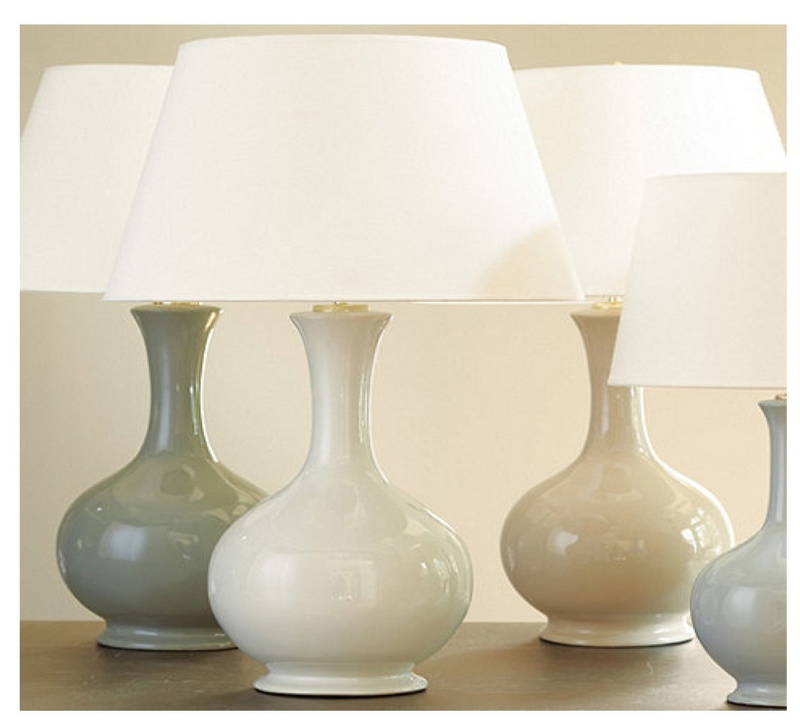 Our recommendations for art and accessories included this beautiful large scale art and understand elegant gourd lamps from Ballard Designs. The design plan that we created for both of these spaces included a true-to-scale floor plan illustration, paint color suggestions, new furniture/drapery/art/accessory recommendations, a complete product source list and instructions on putting the new design in place. Thanks for stopping by. I'm now available for new projects! I love every aspect of this makeover. Yes!!! Beautiful. 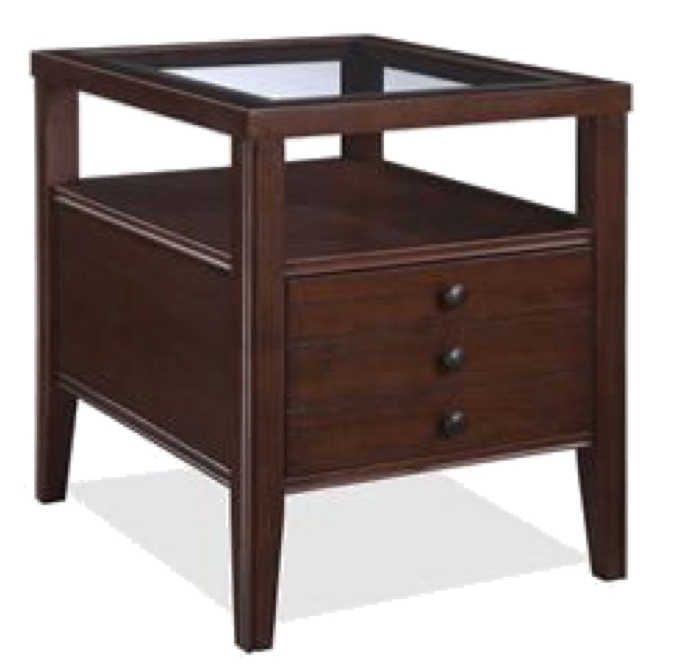 Where is the table from? Pottery Barn?